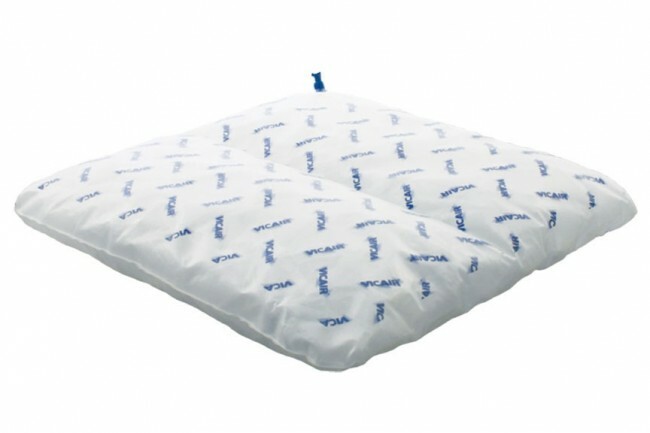 Vicair Liberty Wheelchair Cushion - Pelvic Stabiliser. All Liberty cushions are available with two types of outer cover, Comfair (has a breathable top fabric for comfort and moisture dispersal) and Incontinence (vapour-permeable, waterproof material). 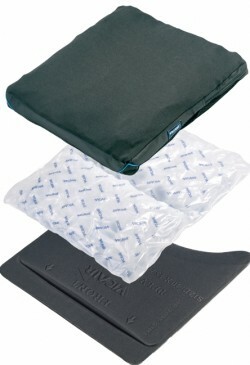 The cover is two way stretch, guaranteeing optimal immersion of the body into the cushion. The addition of a pelvic stabiliser to the Vicair® Liberty PT, turns this cushion into the Vicair® Liberty PPS. The pelvic stabiliser is a hard foam base with a half-moon shaped cut-out at the location of the seat bones. This shape helps to prevent sliding forward when it is placed underneath the cushion. It is also able to improve the contour of a wheelchair’s sling seat. In short: a stable cushion that supports good body positioning.